“Stay hydrated” is one of those wellness mantras that’s been thrown around forever. In most dehydration scenarios, “drink more water” is the quick and easy fix, but when it comes to your skin, it can be more complicated. Here, derms break down exactly what to do when your face is feeling (and looking!) thirsty. Though most signs of dehydration require external care by way of products, there are a few subtle ways your skin may be trying to tell you it’s time to grab a water bottle. Dr. Nazarian also calls on dry skin as a sign of internal dehydration. She’s a big believer that the whole “8-oz glasses a day” rule (or more, for some people) is the real deal, and notes that no matter what your skin is saying it’s important to drink up regularly. 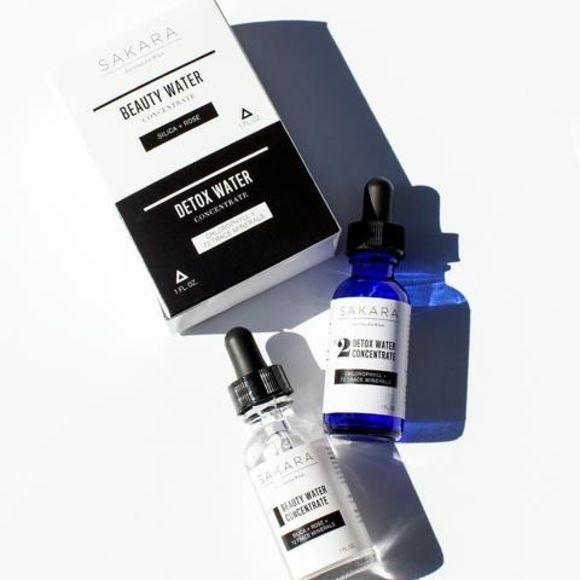 The Product: Make your water mineral-ish by adding the Sakara Beauty + Detox Water Concentrates ($39). These are portable tinctures that contain organic rose water and silica (Beauty) and chlorophyll and magnesium (Detox). Wrinkles may be an inevitable part of the aging process, but depriving your skin of moisture isn’t doing your face any favors. “There's been a huge boom in hyaluronic acid products,” says Dr. Nazarian. “Hyaluronic acid is a substance that’s found naturally in skin that helps it to retain water.” It binds to water molecules.. This can temporarily make your face look plump and dewy, while also helping to smooth out some of the deeper wrinkles. The Product: Tata Harper Crème Riche Velvet Moisturizing Creme ($185) is formulated with an intense boost of hyaluronic acid, as well as 42 other active ingredients, to increase skin hydration by 30 percent. 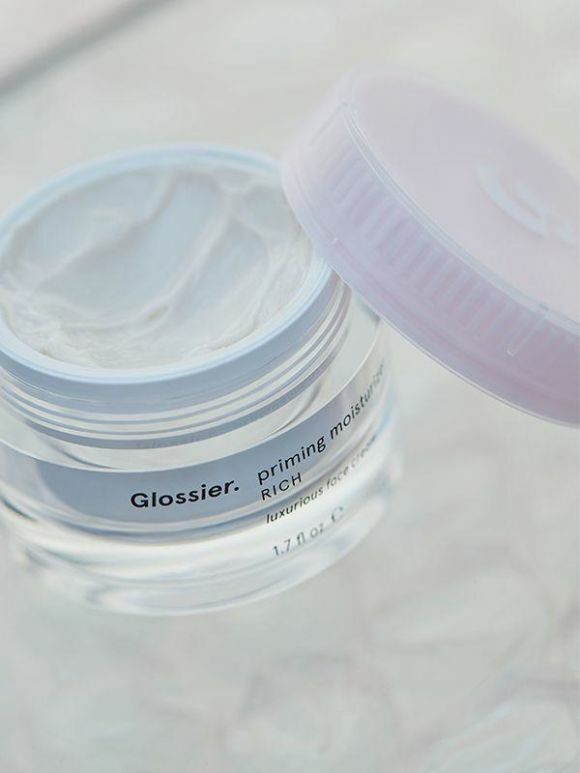 The Product: Glossier Priming Moisturizing Rich Crème de Glossier ($35) mixes ceramides with hydrating natural ingredients, like lavender oil and murumuru butter, for some serious nourishment. “When one is dehydrated, the eyelid skin can become more crinkly,” says Southampton-based cosmetic dermatology expert Dr. Kenneth Mark. "It has lost fluid and volume and therefore is less taut.” Hydrating internally can help a bit, but be sure to treat the area with an eye cream. And if you choose one containing retinol, which Dr. Green says reduces the appearance of fine lines and wrinkles over time, you might be very happy with the results. That said, retinol is a potent ingredient so talk to your doctor to see if it’s right for you, and begin using it slowly. The Product: Murad Resurgence Retinol Youth Renewal Eye Serum ($85) has three ingredients that work together to pack a triple-punch when it comes to dealing with fine lines around your eyes. If you’re constantly dealing with rashes and irritations (re: dryness! ), it might be time to switch to sensitive skin-geared products. Look for phrases like “fragrance-free”, which generally indicates it’s a gentle formula, as well as natural formulas. NYC dermatologist Dr. Melissa Kanchanapoomi Levin says botanicals (she is a fan of trendy cactus pear extract!) may have a soothing effect on the skin. Some other tips for keeping your calm include avoiding hot water and not scrubbing too hard when you’re in the shower. Apply cream or lotion right after you finish cleansing to add a barrier of moisture on your skin against the elements. 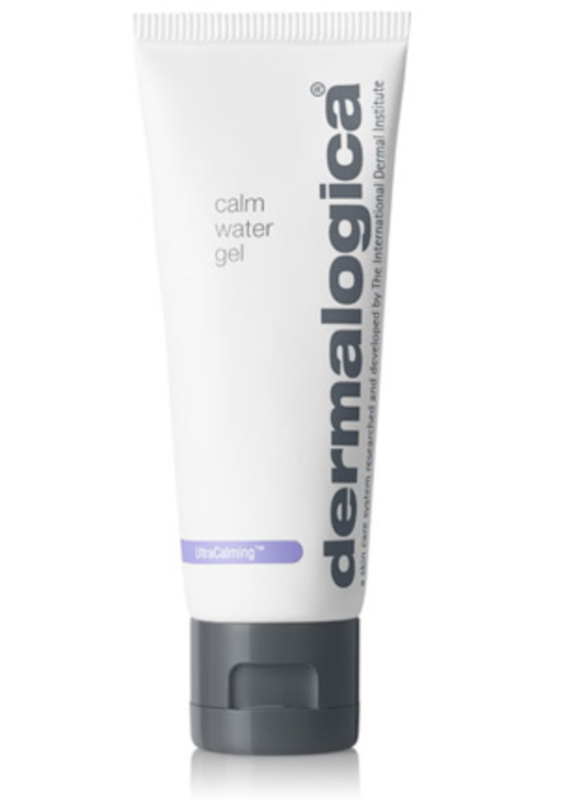 The Product: Try the Dermalogica UltraCalmingTM Calm Water Gel ($48), which feels refreshing on skin and contains hyaluronic acid, apple fruit extract, glycerin, and cactus pear extract to soften skin and help it retain water.